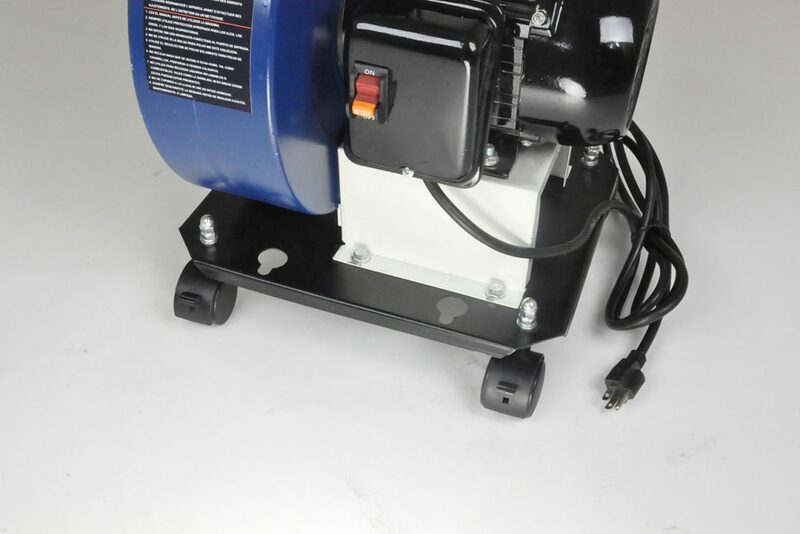 planers. 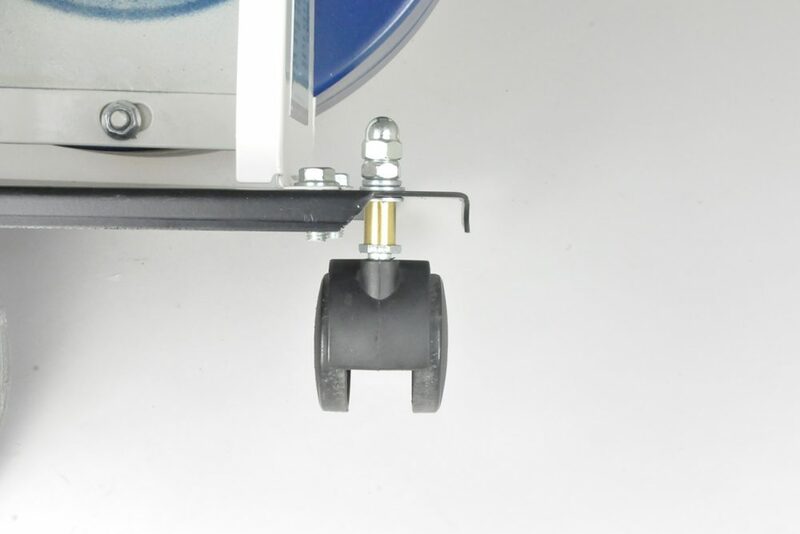 Built-in casters and handle make moving it about easy. 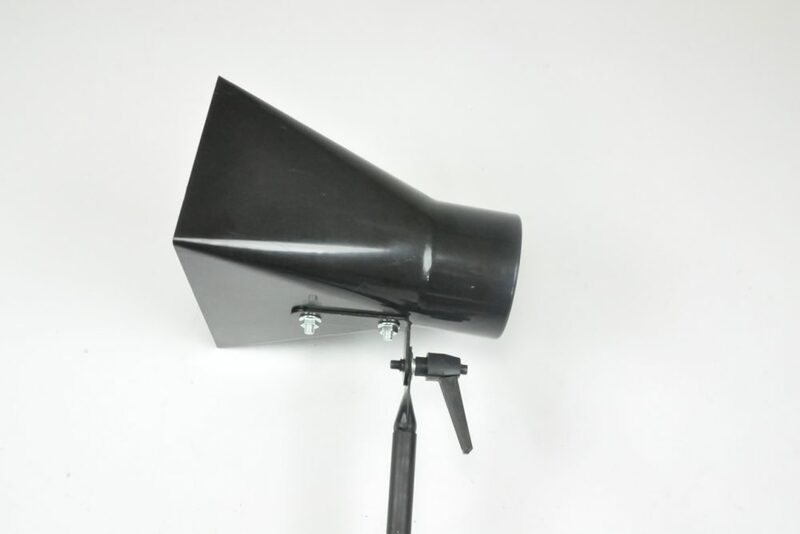 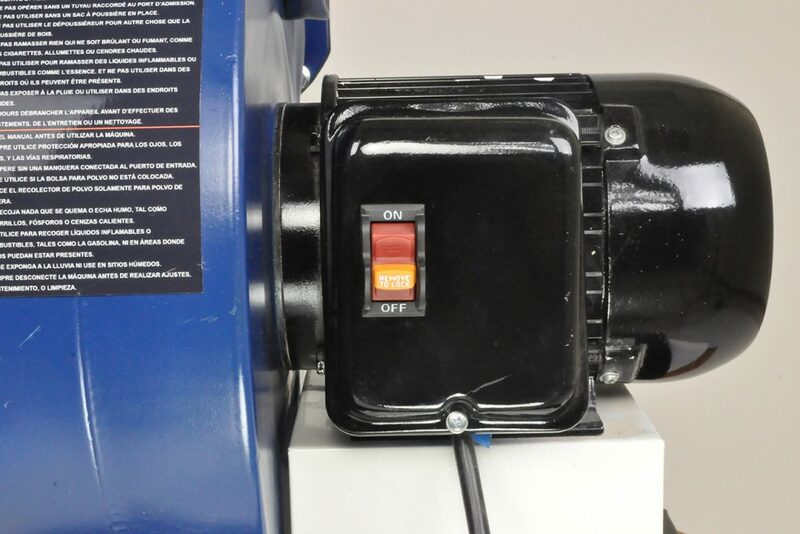 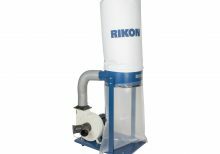 Features an adjustable pipe extension with chip collecting funnel that can be positioned high for use with lathes, drill presses, workbenches etc. 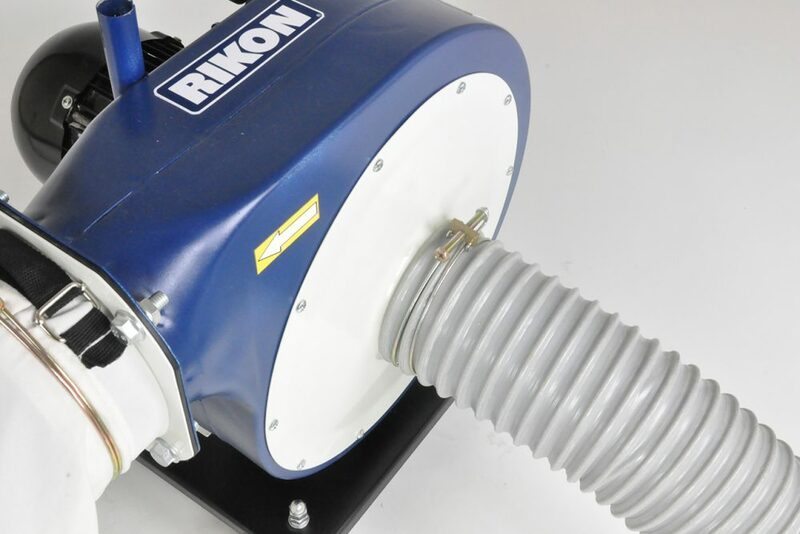 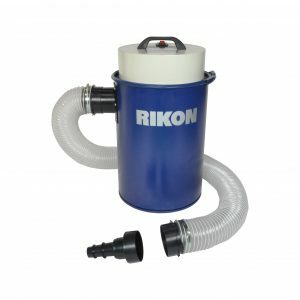 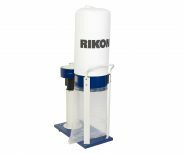 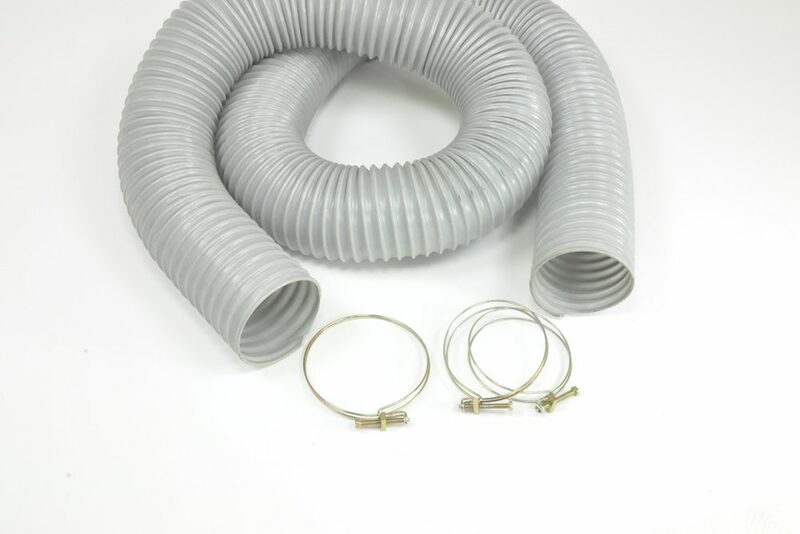 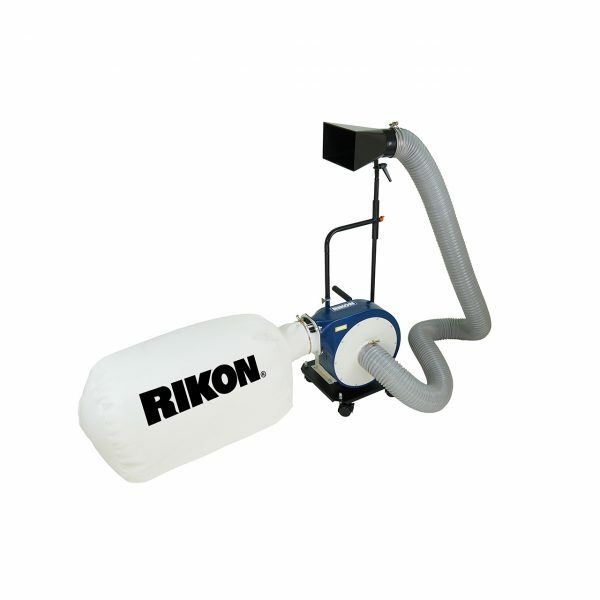 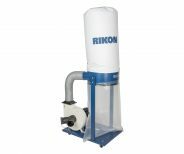 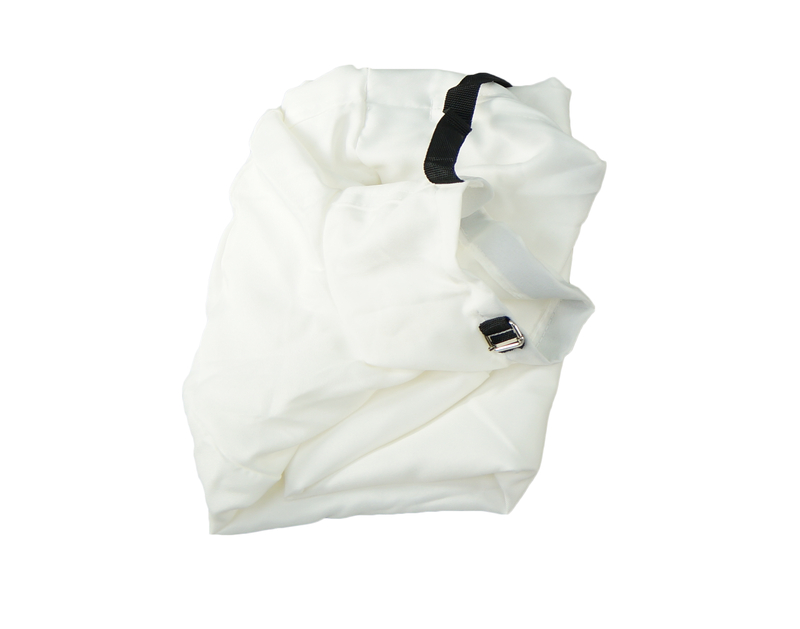 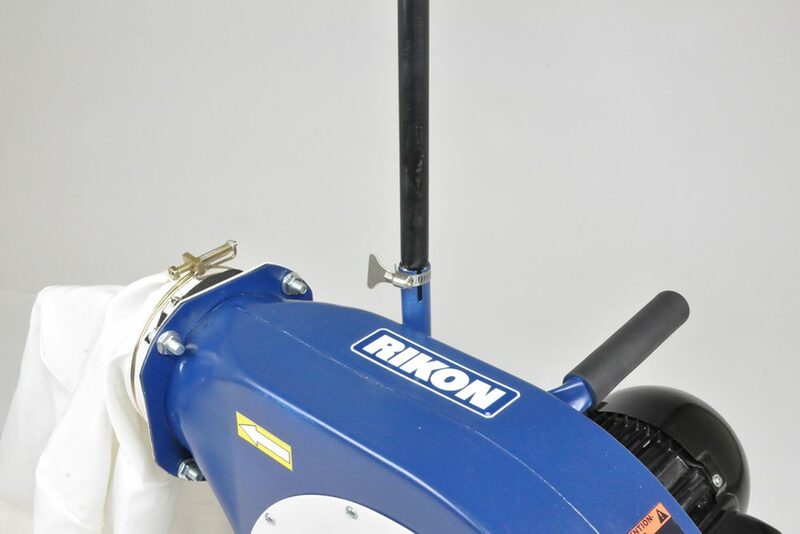 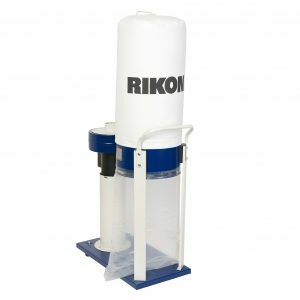 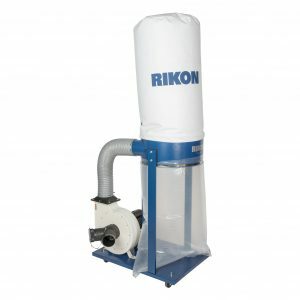 Includes 2 micron cloth filter bag, 108″ long x 4″ dust hose, adjustable pipe & funnel attachmentsystem, safety on/off switch, and wall mounting brackets.